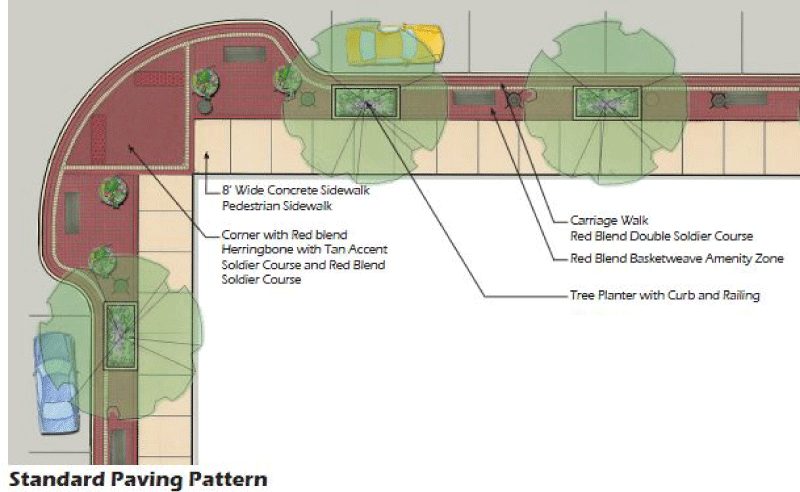 Upland Design worked closely with City staff and team engineers to create new streetscape standards for the 40 blocks of downtown Naperville. 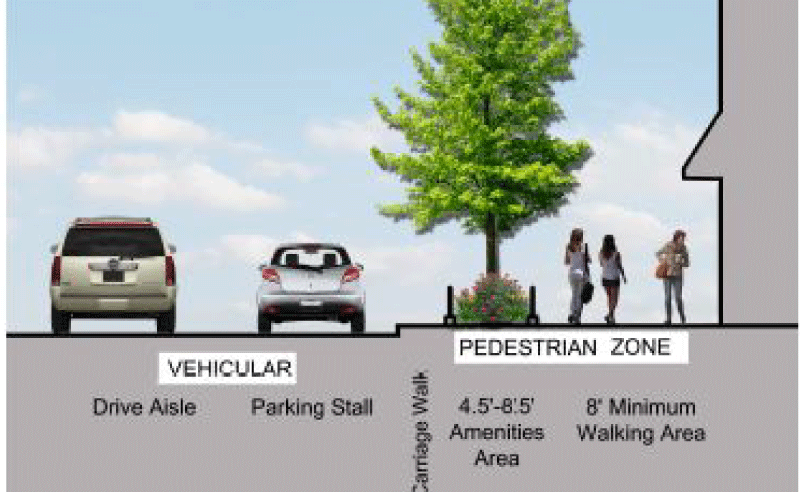 An in-depth site analysis took place along with categorizing streetscape furniture and trees. Using public input meetings, focus groups and stakeholders meetings, the many choices were narrowed to one set of standards to be used throughout downtown. 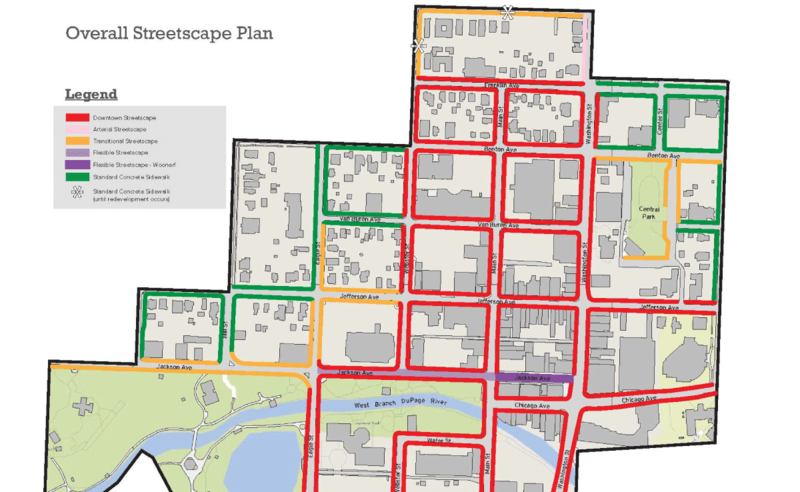 The new planning document give flexibility to the streetscape for the varied width of right of ways throughout the downtown. 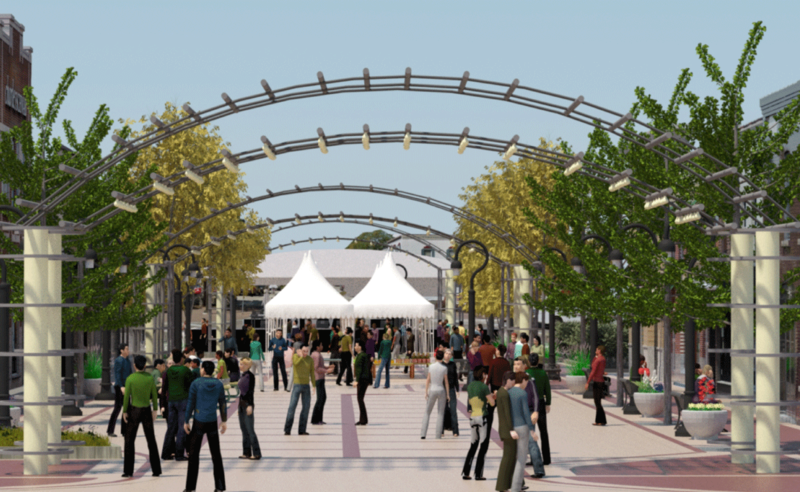 Standards include paver selection and design layout, seat walls, site furniture, landscaping and new festival spaces.